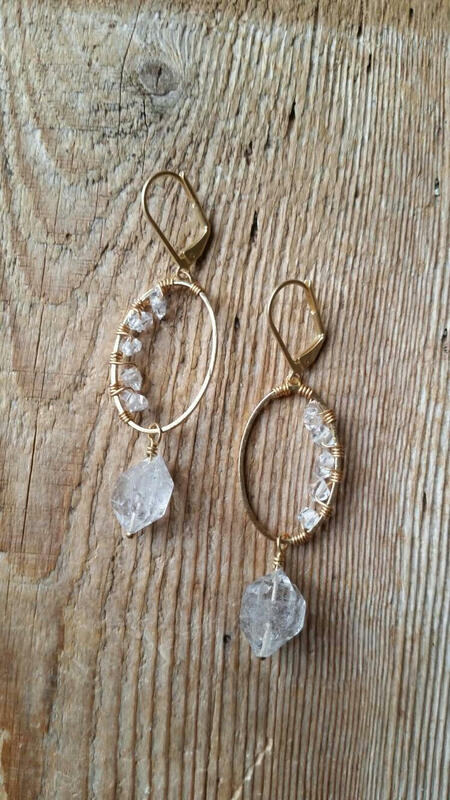 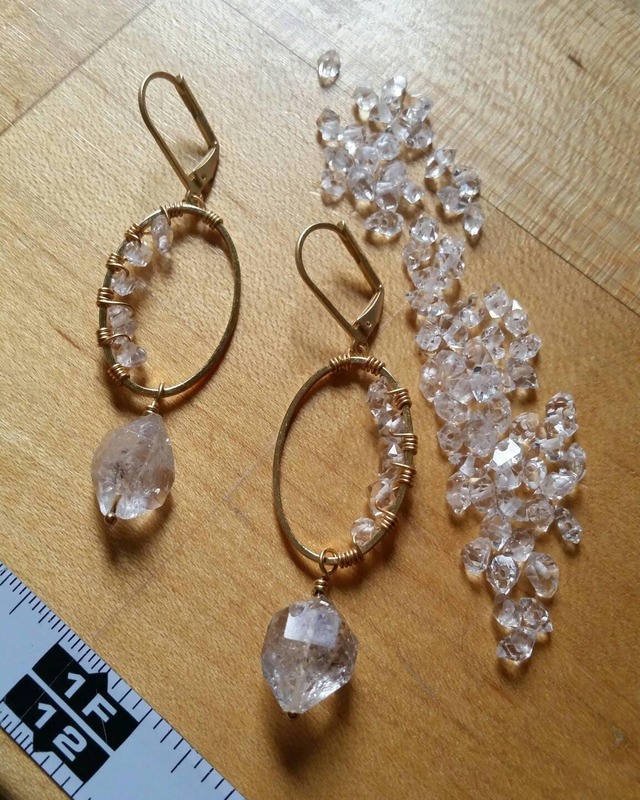 Small, clear herkimer diamonds are wrapped inside a brass oval. 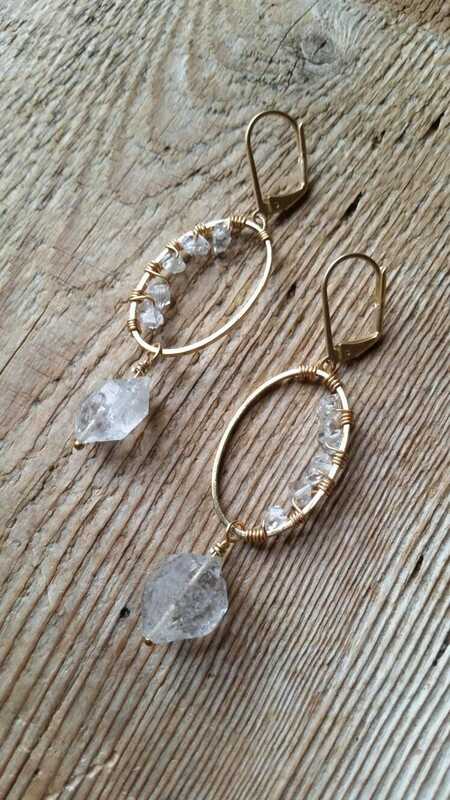 A large herkimer hangs beneath. 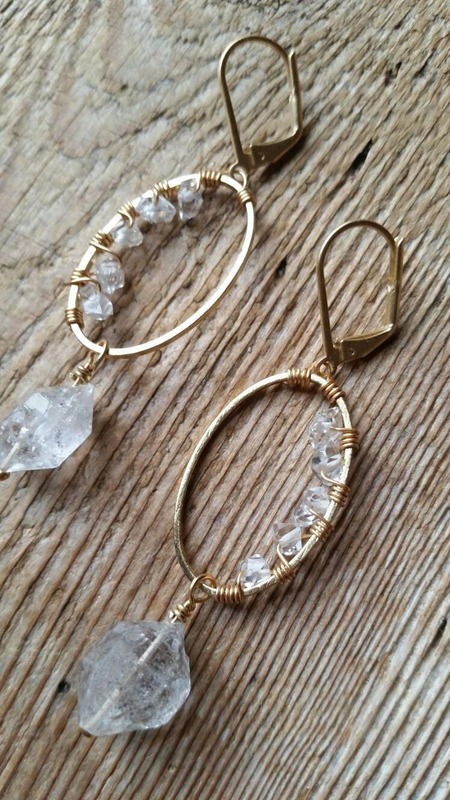 Matte gold lever back ear wires.